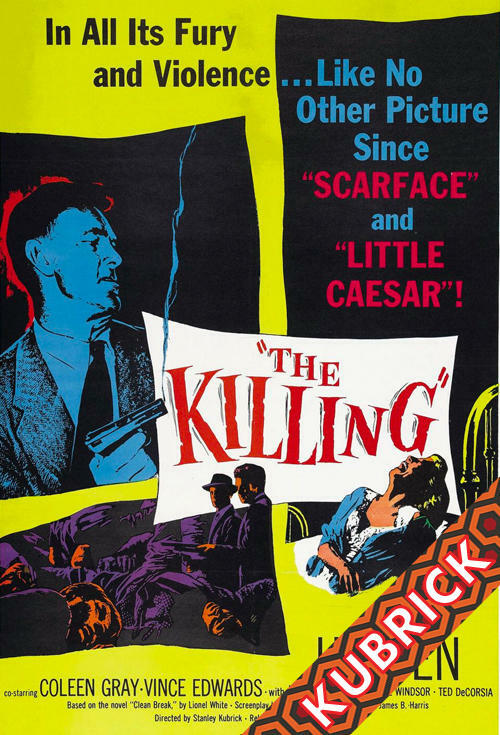 The Killing is a 1956 film noir directed by Stanley Kubrick and produced by James B. Harris. It was written by Kubrick and Jim Thompson and based on the novel Clean Break by Lionel White. A gang of greedy petty criminals plan a race track robbery. The plan gets foiled and disaster ensues.